I have a new craft kit in my Digichick shop. This one is soft and romantic, with water color flower images and some vintage details. And the best news of all? My entire Digichick shop (including this new release) is on sale for 40% off now through the weekend!! I’m still having tons of fun playing with my Silhouette machine – so this kit is FULL of silhouette print and cut files. All of the flowers and tags and borders have print and cut files in addition to the PNGs. For the flower images, I included 2 styles – one with inked drawing lines and one that is just painted. Leave a comment here with your favorite product from my Digichick store. I’m going to randomly choose 3 people to win a $10 gift certificate – so you can pick up your favorite, plus a few more! You have until midnight on May 6. I’ll draw the winners on Monday, May 7. This entry was posted in Uncategorized on May 3, 2012 by Cathy. I think this new set (Watercolor Blossoms) is my absolute favorite! The flowers are beautiful! LOVE IT! Your new kit is beautiful and thanks for the chance to win a gift! I like your Flower Fashion Tea Party Digital Kit, but your new Water Color Blossoms Digital Craft Kit also is beautiful. I noticed some of your kits have the cutting files, which is a plus !!! 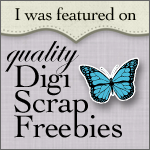 Love that you can scrap with them, and like that they have the cutiing files…thank you for allowing us all a chance to win ! I think this one might be my favorite, but I also love your Folkart Love! You have such beautiful artwork in your kits. I love the folkart love kit. The butterfly and the rooster are especially beautiful, and I love the color palette too! Thanks for the chance to win! I love the Owl Fall for You and the Owl be there for school. Too cute. I love both folkart love and flower fashion tea party kit!! thank you so much for the chance to win! I love EVERYTHING about this kit-the color palette, ALL the designs! I like that digi designers are adding cutting files here & there & I’m sure that by next iNSD it will be extremely popular. By then I hope to have my own Silhouette or Pazzles. My sister has Silhouette & software & she allows me to use it for my HYBRIDs until then. I love Owl Fall for You!